New Nova Jalapeno by Jack n' Jill- Spice Things Up and Have as Much as You Want! Turn up the heat with Jack ‘n Jill Nova newest flavor, Jalapeño Spice! The fiber-rich multigrain snack now comes with an exciting kick of jalapeño, made with the goodness of four wholesome grains – wheat, corn, oats, and rice. Nova Jalapeño Spice is a guilt-free snack that goes well with your active lifestyle. Nova is probably one of my favorite local chips in the market. I remember back when others were into potato chips corn chips, and fish crackers, I was into the multigrain snack. I'd carry a pack of Nova chips with me to school, to the movies, and even to sleepovers. My favorite flavors were Barbecue and their limited edition Summer Salad. Today, I still enjoy snacking on Nova Homestyle Barbecue and Country Cheddar once in a while. 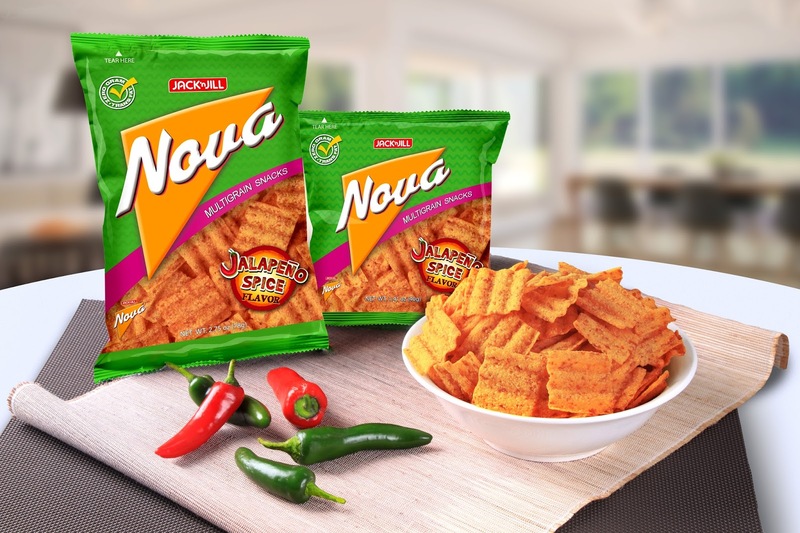 I got all excited when Jack n' Jill recently introduced a new flavor for Nova- Jalapeno Spice. If you're a fan of jalapeno, there's no doubt you will love this flavor! A distinct aroma of the green chili lingers in the air as I burst open a pack. First taste was weird, but I saw myself loving it at second bite. "NOVA- HAVE AS MUCH AS YOU WANT!"